Privacidad en un barrio residencial cerca de todos los servicios. Dirección: 85 Denison Street, Hamilton East, NSW, 2303. Apartamento en planta alta con entrada privada. Dormitorio separado, salón con cocina americana y baño. Cama matrimonial tamaño queen más sofá cama doble (en la sala de estar). Máximo 4 personas. Sin cargo para bebés menores de 3 años. o. The property was very clean and close to restaurants and cafes. The breakfast that was supplied by owners julie and Alan was above and beyond what we expected. It is in a safe and quiet location. I would be very happy to recommend this property. 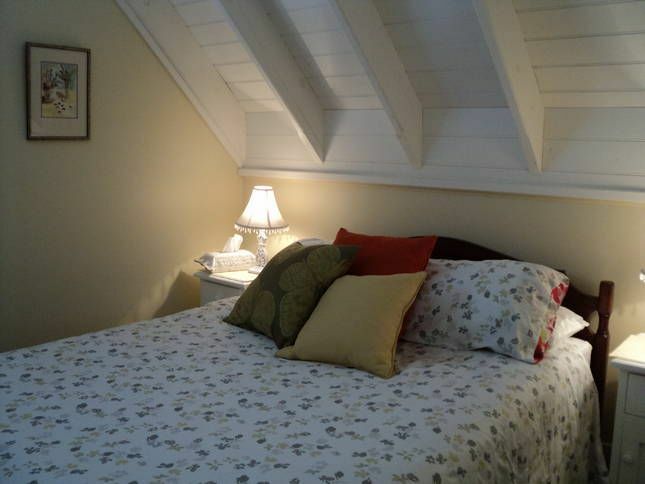 We had a great stay in this quiet, peaceful loft sanctuary. 10-15 minute walk to Beaumont Street, with its wide array of restaurants. The space would be ideal for a couple or small family, but worked well for us two independent travel companions, with a comfortable wide sofa bed in the high ceilinged lounge room. Alan catered to our every need with a well stocked breakfast tray each morning. Overall, highly recommended! Thank Alan. Lovely! Very close to transport and the city, lovely accommodation and lovely food for breakfast. This was an idea spot to stay. We loved the apartment, the location, the food provided and the hosts were very friendly. Great location and beautiful home! We were very taken care of and enjoyed our stay for 2 nights! Really comfortable, nice and clean, has all the creature comforts you need for a quiet nights rest. Plenty of breakfast and only a short walk to Beaumont Street restaurants. Friendly hosts.